You can't tell from that but there was a lot of blood. 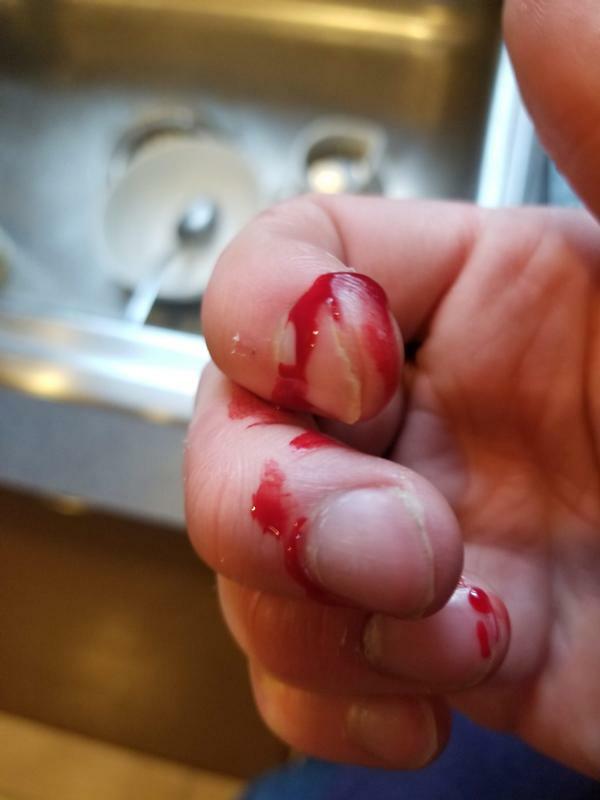 I almost cut the tip off and it bled for than an hour, thru 4 band-aids. Why am I allowed near sharp objects? I don't know how I'm going to be able to take notes tomorrow. 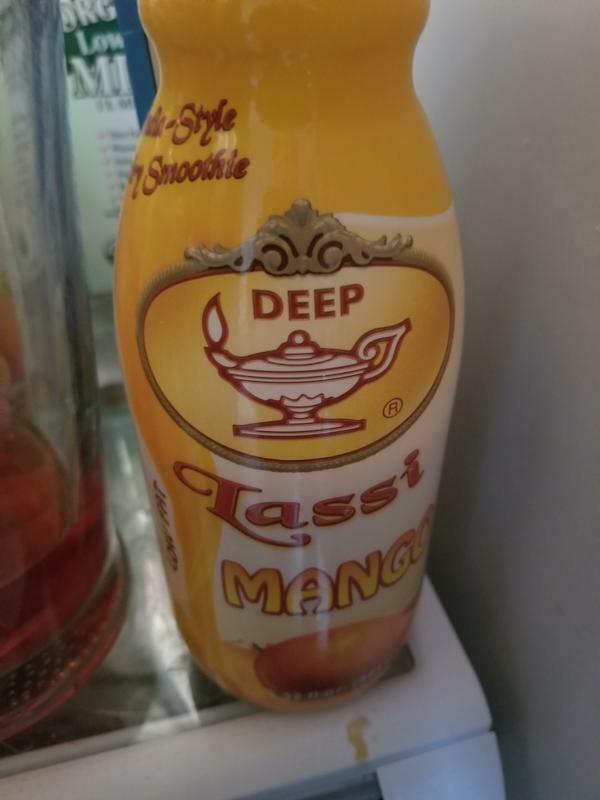 I appreciate your love of mangoes. I hate fresh mangoes. They taste like pine. Give me dried mangoes any day. So delicious! Is this one of those weird genetic food things like how cilantro tastes like soap to some people? ...and cilantro does taste like soap. You wouldn't like my soap flavored salsa. Most people do though. Mangonadas are my favorite way to eat mango, with extra tajin and less chamoy. 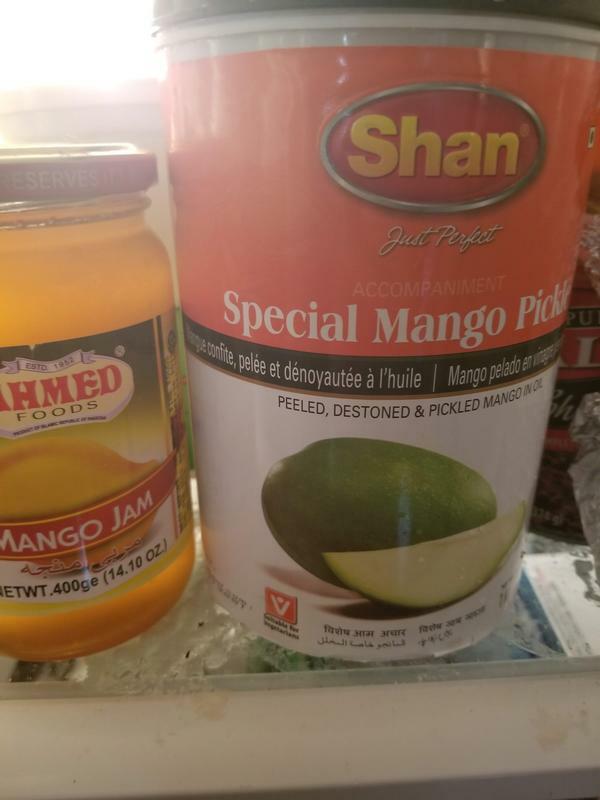 [link] Mangoes do taste like pine a little bit But cilantro is delicious Mangonadas are my favorite way to eat mango, with extra tajin and less chamoy. I've never heard of mangonadas but I'm guessing I'd hate them since I hate spicy things. "Mangonada or Chamango is a Mexican fruit drink. The drink is typically made with chamoy sauce, mangos, lime juice, and chilli powder and is decorated with a tamarind straw. It is popular in Colorado, Chicago, Wisconsin, California, New Mexico, Texas, Arizona and Mexico"
And why are you people eating so many pine trees? I've had tamarind soda. Seems kind of cruel to make a soda out of a monkey. Haha you ate mango achaar. Even I don't go near that, it just looks weird. My grandma makes the best achaar (pickled stuff) with peppers, lemons, aubergines (egg plant), turnips and carrots. Owch, your poor finger. Wishing you a speedy recovery! Did you mix the mango lassi with milk?